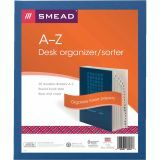 Smead Expandable Indexed Sorter, A-Z, Letter Size, Pressboard, Navy Blue - Keep loose paperwork neatly categorized with this desktop file/sorter. Extra-tough cover wipes clean with a damp cloth. 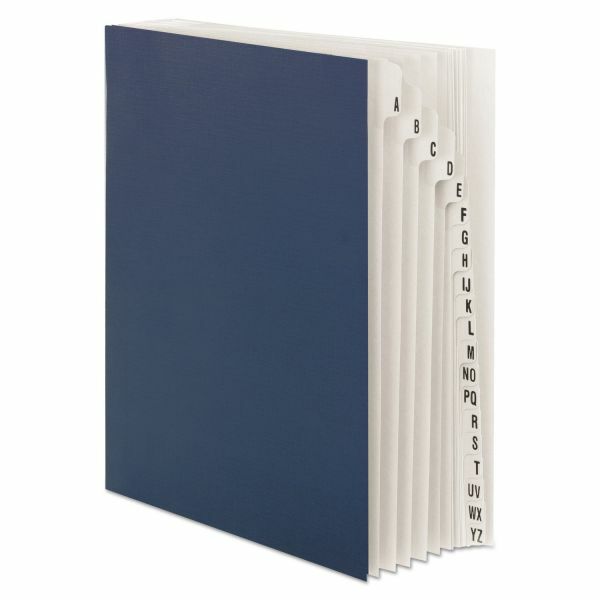 Tabs are reinforced with DuPont Mylar and indexed on both sides for easy sorting and follow-up. 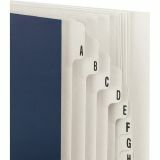 20 heavyweight dividers are labeled A to Z for alphabetical filing. 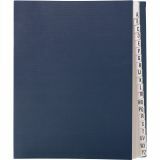 Holes in dividers help locate papers remaining in file. 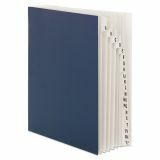 Each section expands to 1-3/8". Each section expands to 1-3/8"